Germany? Nope. Oktoberfest in Blumenau, Brasil. the wedding of Crown Prince Ludwig and Princess Therese and was hence repeated every year. 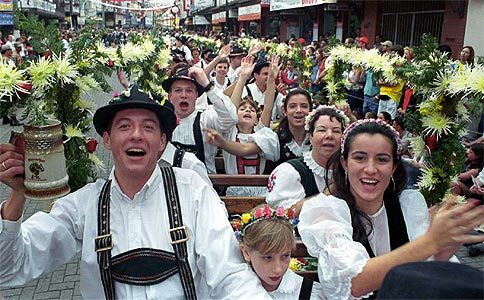 Due to its popularity, the Oktoberfest inspired a large number of similar events by the same name all over the world, including amongst others Brasil, India, the United States and, yes, Palestine. Jerusalem on both days of the Oktoberfest. Click here for more information & reservations. The founders of the brewery, the brothers Nadim and David Khoury had originally started their business as a way to boost the Palestinian economy. After having spent more than two decades in the US, where as a student, Nadim started to home brew beer, the signing of the Oslo Accords in 1994 encouraged the brothers to return to their home town and invest into a Palestinian owned business. Investing money to start a beer brewery in a predominantly Muslim country? Most people, whether Palestinian or Israeli, did not believe in the business idea and thought the brothers had lost their minds, Nadim Khoury remembers. Yet the Khoury family's optimism and cooperation proved to be the right recipe for success and Taybeh Beer, which by now can be found in selected places all over the world, is rightfully called the “Finest in the Middle East”. 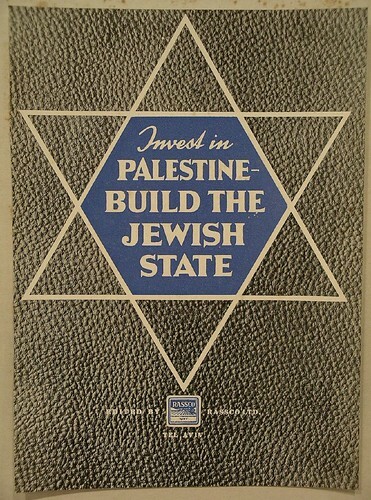 Yet until they reached this point, the Khourys had to and actually continue to struggle with the obstacles that result from the Israeli occupation, which severely affects the Palestinian economy as whole. Notwithstanding the promises of the Oslo Accords, which included Israeli-Palestinian cooperation in the field of trade and commerce, the hardship of the Occupation soon started to impinge on the business. Especially the movement restrictions, including closures and long waiting hours at Israeli controlled checkpoints delayed the imports of essential materials for the brewing process, as well as the exports, which in turn could affect the quality of the preservative free beer. 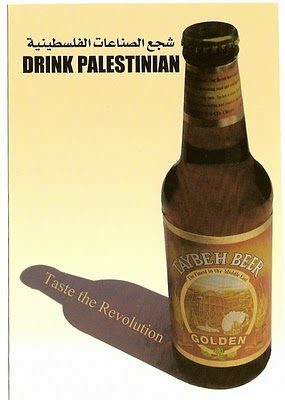 The brothers thus decided to outsource part of the production to Germany, where Taybeh became the first Palestinian product ever to be franchised in 1997. 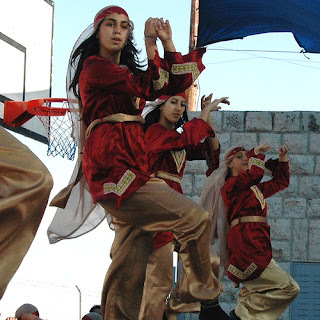 In 2005, the Khourys staged the first Oktoberfest in Taybeh. Dr. Maria Khoury, David Khoury's wife and one of the main organisers of the festival, emphasises the difficulty of implementing “new ideas in a little village that has a rich history and ancient roots in Palestine going back more than five thousand years, even before the birth of Christ.“ But again, the strong will of the family succeeded and the Taybeh Oktoberfest by now is considered to be one of the highlight events of Palestine. For Dr. Khoury, this success is especially meaningful as she sees the Oktoberfest as a way of offering a new and different perspective on Palestinian culture and of showing the world “that all human beings, no matter what their past or future might hold, are worthy of celebrating life with freedom, liberty, justice, peace, and happiness”. 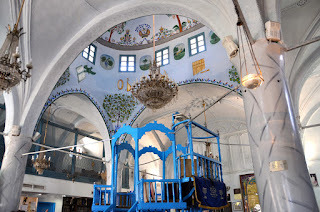 Meanwhile the festivity attracts tens of thousands of visitors, who indulge in the local beer and food, enjoy Palestinian music and dance, and wander around the many stalls offering handcrafts produced by women's cooperatives and other small local businesses. The festival's policy is strictly about inclusion and therefore everyone, no matter what her/his background is, whether Christian, Muslim or Jewish is welcome. Green Olive Tours is both offering tours to Taybeh throughout the whole year, which include also a visit of the brewery, as well as specific tours to theOktoberfest, which in this year will take place on the weekend of October 6th and 7th. For more information contact us here.